I have some bad news guys! Two of my projects have through time deteriorated and I couldn't live with myself letting you guys think these projects worked as I described previously. Clearly I didn't think that the wire being in water would be a problem. You may be able to counteract this problem by using glycerin instead of water, or trying to find a rust proof wire. I hope to try another one soon and will update you guys on any improvements. The problem I originally discussed in this tutorial (getting odd bubbles in the paint after watering) still happens. I'm sorry it took me that long to notice, and write this recall, but at least you guys know now. The snow globe still looks pretty freakin' cool, though. The rust is kinda like glitter! Maybe it looks yuckier in person, though. Perhaps you could coat the wire in some kind of waterproof clear paint, like maybe outdoor mod podge? Not sure if that would work or if it would decay eventually too! Edison tried over 1600 filaments before he found the right one...you're in good company! Plastic coated electrical wire might work if you can find one that bends easily. 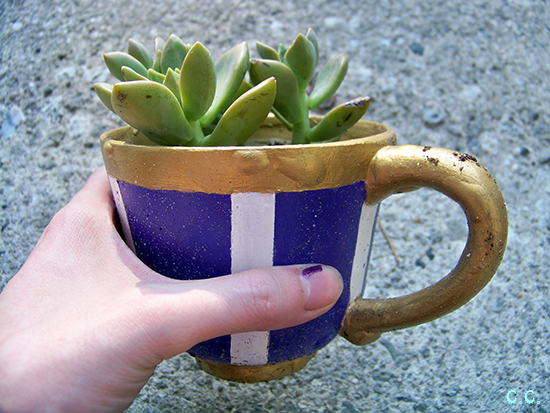 As for the planter, water is probably seeping through the ceramic. Precoating with a sealant before painting might help. 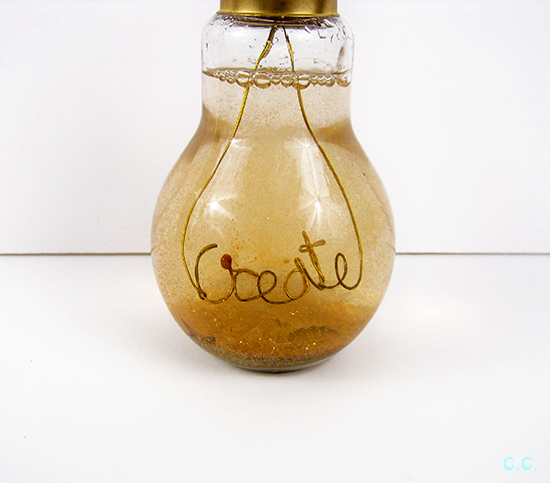 Water is such a wild card in craft projects. But unexpected results teach us so much! Just wondering if you baked the cup after you applied the paint? Or if you wiped the cup down with alcohol to remove any possible adhesive from taping the cup for painting or to remove any dirt or body oils from handling the cup? It is such a super idea and I hope you will give it a try again one day. I really love your attempt and I especially love that you let us know of the errors so others could offer suggestions. Big happy SMILES!! !